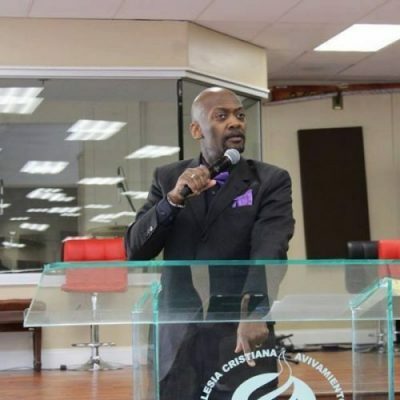 Pastor Richard Blakely is the lead Pastor and Founder of The ARK Christian Center in Germantown, Philadelphia. His vision, along with the support of his wife and covenant partners, has propelled The ARK Christian Center to new heights with its positive effects throughout the city of Philadelphia and surrounding areas. Born in North Philadelphia, Pastor Richard gave his life to Jesus Christ at age 17 while attending the Mount Airy Church of God in Christ under the guidance of Bishop Ernest C. Morris. Pastor Richard served in multiple capacities within ministry before pastoring and becoming a licensed Minister. In the year 2000, he was ordained as an Elder in the Church of God in Christ. Pastor Rich, as he is affectionately known, is also a Pennsylvania certified Educator and United States Air Force veteran, where he served for twenty years and further enhanced his worldview of religion and geo-political affairs. In 2013, Pastor Rich received a vision from God to go and minister to His people in a new and innovative way. Thus, the Acts of Random Kindness, a church with an emphasis on real ministry opened its doors on December 15, 2013. Themed after the Word of God found in St. Luke 4:18, it is through his God given vision and understanding that Pastor Rich and his wife have developed an unconventional approach to ministry. The A.R.K is meeting the needs of the people from a holistic perspective. Under the leadership of Pastor Richard Blakely, The ARK Christian Church is determined to reach its goal of changing lives through Acts of Random Kindness. Pastor Rich has an Associate’s degree in Criminal Justice from the Community College of the Air Force, a Bachelor’s degree in Social Studies from Colorado State University, and a Master’s degree in Secondary Education from Holy Family University. He is also a graduate of the Jameson School of Ministry under the tutelage of the late Dr. Howard O. Jameson. Pastor Rich is united in holy matrimony to Pastor Darlene L. Blakely and they have one daughter, Minister Dionna S. Avery.